Fishing Report: Duck and Corolla beach we are getting some puffers and dogfish. 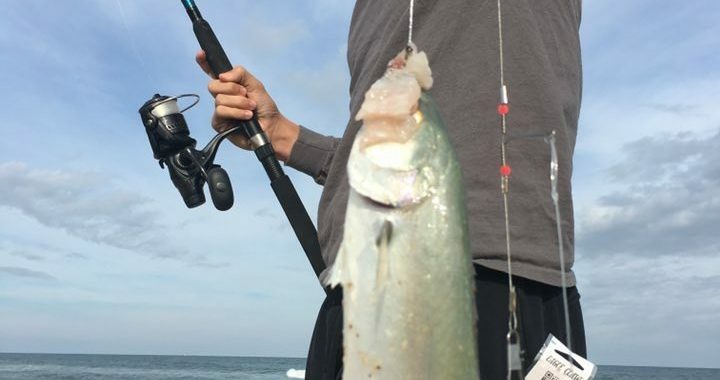 Our Charters: Half days are mainly getting dogfish and some bluefish. Our Offshore Charters are getting good numbers of yellowfin tuna when they can get out. South Beach Hatteras areas are getting puffers, sea mullet, bluefish, and some big red drum near the point. Conditions in Duck: Water temp is 51 degrees. Winds are SSW at 9 knots. High tide 2:30pm. Next low tide 8:54pm.